Turkey is located in between Europe and Asia, and lies 8,500km west of Japan. It may seem far; however, we have interesting common points, not the least of which is that our languages both have roots in the Altaic family. The relations between two countries have been close over the years, strengthened by events as far back as 1890, when Japanese citizens risked their lives to save the crew of the ship Ertugrul, which had run aground, and more recently when Turkey repaid that kindness by helping to evacuate Japanese expatriates from Tehran during the Iran-Iraq War, and let us not forget the support shown to one another after each of our countries experienced catastrophic earthquakes. Today we see that our ties have led to more than 200 Japanese companies being very active in Turkey, however, I believe even more Japanese companies can succeed. Let me show some of Turkey’s attractive features for Japanese companies. Continuous economic growth of around 6% per annum and an 81 million strong population that is relatively young and supporting in a market that exhibits increasing demand for every product and service. The Customs Treaty with the EU and good relations with neighboring countries mean that Turkey is the ideal manufacturing base to tap into both the large domestic market as well as the huge number of markets located within a four-hour flight radius. Automobiles, white products / TVs, and food / agricultural products already have established stable production bases in Turkey, and they are expanding. The expansion of infrastructure to support growth targets, a geostrategic location that makes it a prime international energy hub, a variety of new mega projects, and an established and expanding tourism sector all provide new opportunities for business and investment. Turkey welcomes foreign investors, extending to them all of the same rights enjoyed by Turkish citizens when it comes to investments. This “national treatment” means there are no barriers to transferring business income abroad, and the procedures for starting a business or making an investment are fast and easy. In addition to above, what I can say clearly is that Turkey and Japan are friendly and allied nations. 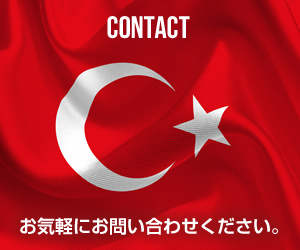 Turkish businesspeople and consumers welcome Japanese companies and products as their partners. 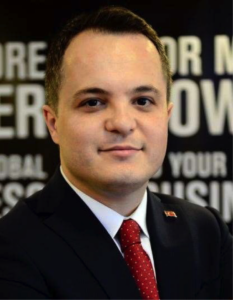 Our organization, Investment Support and Promotion Agency of Turkey, has been established to support foreign investors looking to come to Turkey. Your success in Turkey is our goal. Let’s build upon this interest in Turkey and work together. Copyright © トルコ共和国大統領府投資局　All Rights Reserved.